Up until recently, I had my keys separated onto different key rings placed onto a carabiner. This way, if I only needed to take the keys I needed to get back into my house with me, I could just pull them off without taking the whole lot. The only thing is, when you are trying to look like an adult and you pull out your keys on a faded pink carabiner, it just doesn’t help. 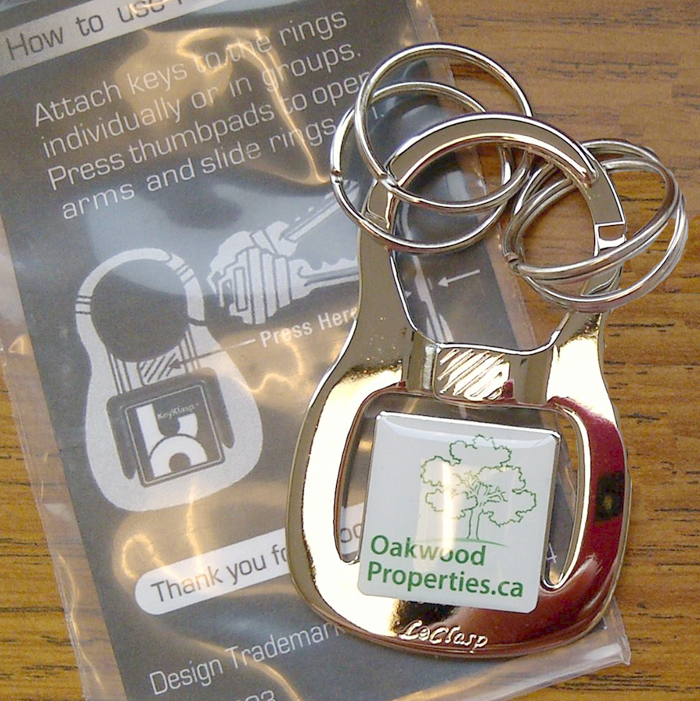 At the end of last year, one of our customers did a run of these LeClasp Key Chains. These are a thing of BEAUTY. I marveled at how it was the same idea as my carabiner, but much – MUCH nicer. I tried to get my hands on one from the run we did with Oakwood Properties, but no go. HOWEVER, then something AWESOME happened. We did a run of our own! My bosses had done a run of these to celebrate our 45th anniversary, and Chris has been using his since – TEN YEARS LATER. Now we’ve got a run of 55 year anniversary key chains and I’ve got one to call my own. 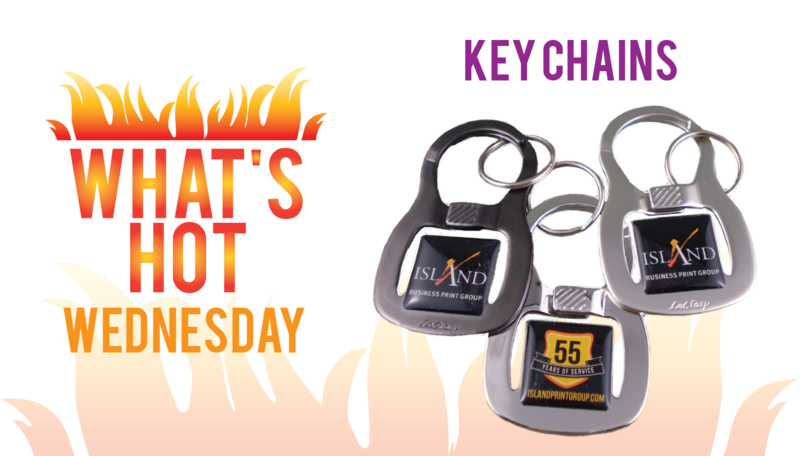 You may find it odd to get excited over a key chain, but just wait until you see how nice these are! What about you? 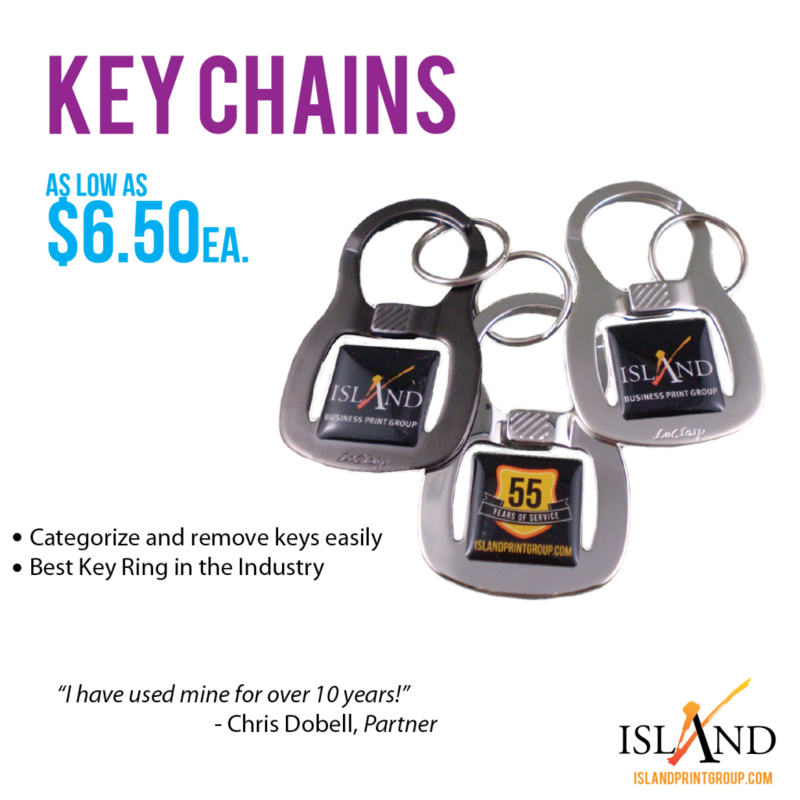 What’s holding all of your keys together?